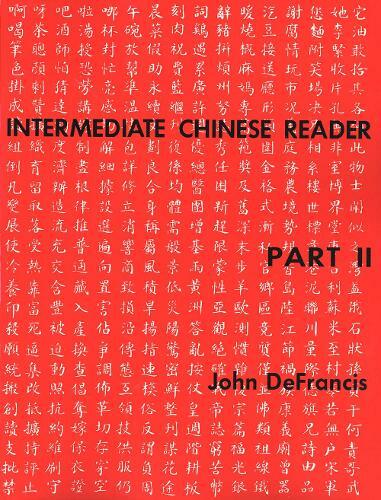 A sequel to "Beginning Chinese Reader," this work is closely correlated with the author's "Beginning Chinese", "Advanced Chinese", and the character versions of these two texts. It contains 400 new characters, some 2,500 compounds, and about 200,000 characters of running text. All compounds appear in illustrative sentences, in dialogues as a means of audio-lingual reinforcement, and in narrative or expository form. Supplementary lessons present reading material using the simplified characters adopted in mainland China. In two volumes, Part I and Part II.